To say that this installation, at the Contemporary Jewish Museum in San Francisco, is amazing is to scratch the surface. Made up of 13 screens, all large–some on scrims that let the image pass through 3 or 4 layers of cloth before finally fading into nothingness, sone on screens, some on the museum walls, some in horizontal diptyches, some in vertical ones, some with vocal accompaniment, some without–the images are both pedestrian and astounding. Shot by visitors to Poland in the 1920s and 30s, and intended as home movies, they are far from the usual cute pictures only of interest to the family they capture. The visitors are returning. They are Jewish-Polish immigrants who became Jewish-American success stories, men who could afford a camara and even, sometimes, a cameraman. They are returning to their places of origin and the extended families that dot the Polish landscape. From Krakow, Lodz and Warsaw to dozens of shtetls, they shot images of the life and people they have left and need to remember. Their images create an archive of a lost world, though the archive itself persists at YIVO in New York city. Forgacs went through the vast inventory of home movies and selected about 6 hours of footage to organize into the installation. 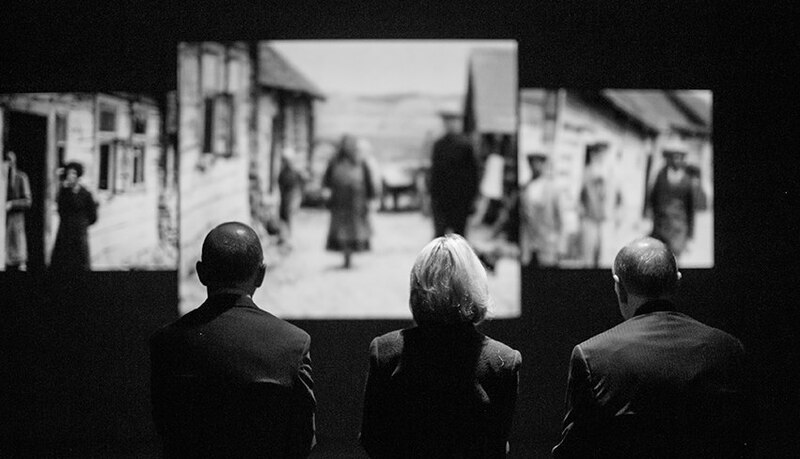 Most screens or clusters of screens feature footage from a single location: a major city or shtetl. People go about their daily lives; people look at the camera and often pose for it; people live their middle European lives in the period between wars as if it will go on forever. There is immense vitality and joie de vivre in what they do and how they represent themselves. Forgacs has skillfully given us a sense of a culture that possesses enormous strength, diversity, confidence and zest. How could it disappear? How much diabolical work had to go into making that happen? This installation makes clear that no small effort would suffice. It would have to be a genuine catastrophe, a holocaust of unimaginable proportions. Such an event is nowhere to be seen in the installation but it lives in our memories and hearts and when those memories of what will happen next confronts this testament to what went before, the result is dumbfounding. Beauty and joy hover near the wings of a maelstrom that is soon to descend. We can only rejoice at this reclaimed world and mourn its horrific passing. 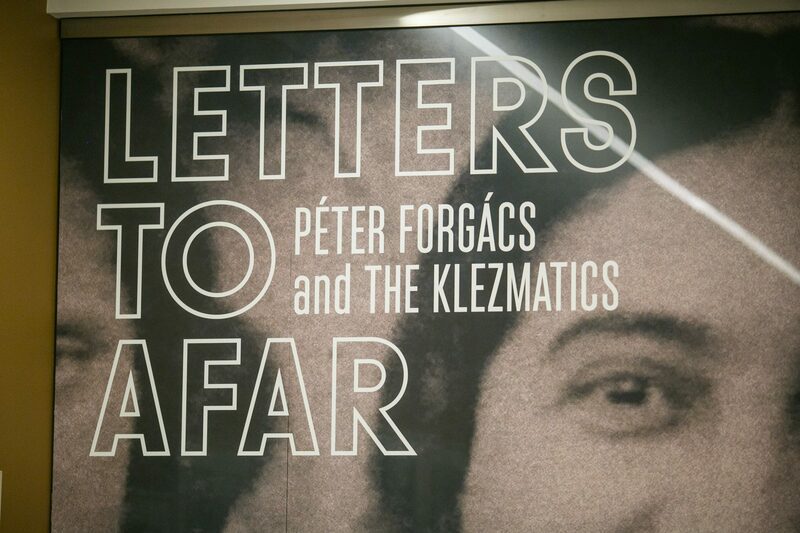 This entry was posted in Art, Film Reviews and tagged archival images, CJM, Contemporary Jewish Museum, Holocaust, installation art, Letters to Afar, Peter Forgacs, YIVO by billnichols99. Bookmark the permalink.